• We are able to drill shallow wells for petroleum and chemical sites, installing 50mm pvc or stainless far water monitoring. 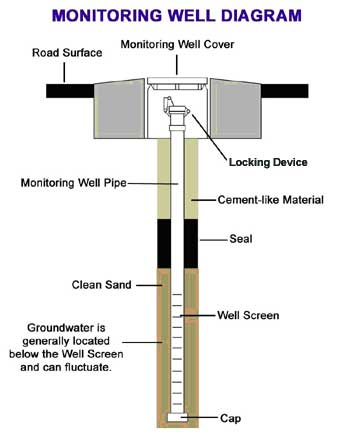 • Soil vapour monitoring wells for landfills. • Deep water monitor wells over 650m deep on Coal Seam Gas sites for water quality assessments.